Working with OO documents and Google Docs?! On Intertop Google vice-president announced that Gmail will now support IMAP. This will allow account owner to sync their e-mail between different mobile devices. Google adds web presentation software to its offering Google Docs. 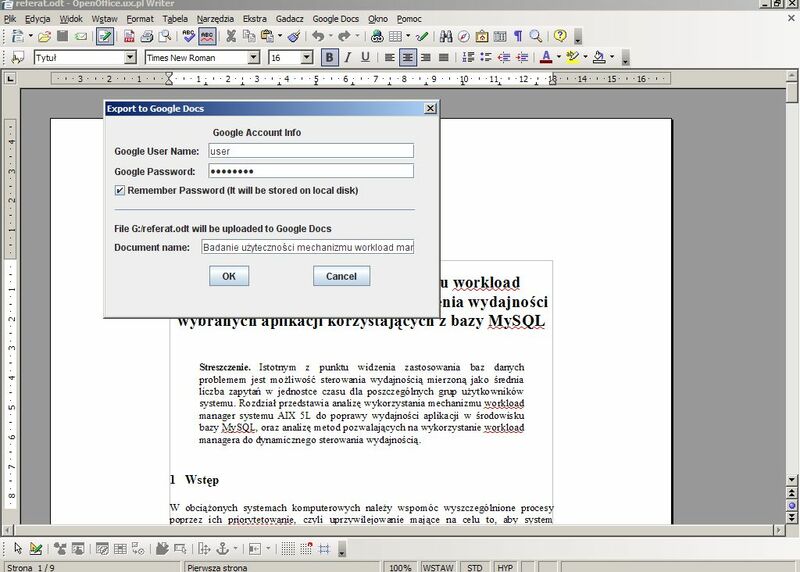 Now Google Docs is fully functional web based office suite. Is is with basic features (for now), but how many of you are using full functionality of your office suite? Google is adding more apps to his Linux repository. Google news moved from simply linking to news stories to publish full stories after deal with four news agencies. News stories from the Agence France-Presse (AFP), Associated Press (AP),Â UK Press Association (PA) and the Canadian Press will now be hosted on the Google News site. In addition Google will detect duplicate stories. It is reported that new version of Google Earth includes a Flight simulator of F-16 or SR-22. It seems that this goodie is included only in Windows version.